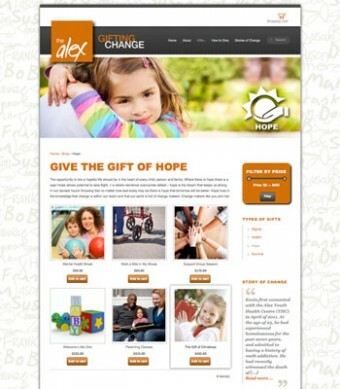 Following the completion of the WordPress website for The Alex, under the umbrella of Urban Motif Design, we completed a WordPress-based e-commerce site that would enable The Alex to receive donations for specific high-need items. This e-commerce website needed to maintain a similar look-and-feel as the original website. 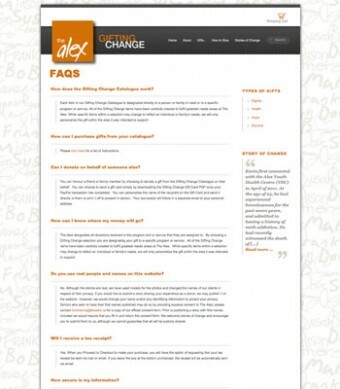 It was created in WordPress so The Alex could update its content, add new products for sale, slideshow images, etc. The site was also made responsive to ensure it would display nicely, no matter what device visitors used to view the site. 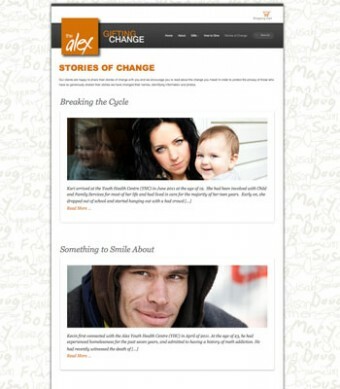 The website includes two different blogs, which are used to display stories of change (those who needed help) and change makers (those who donated). The site is also setup to issue charity receipts semi-automatically, which reduces the time associated with taking care of such administrative tasks. 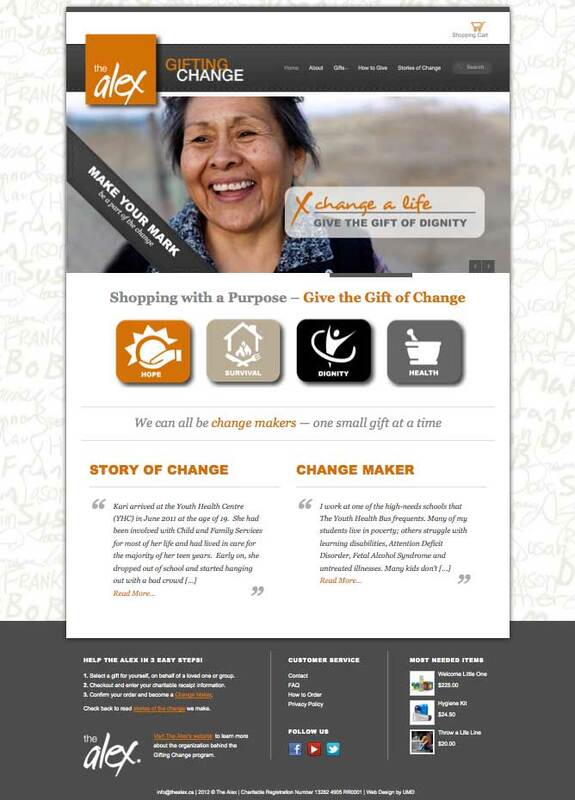 Donors can also select a gift by price range or gift type (hope, dignity, survival or health).